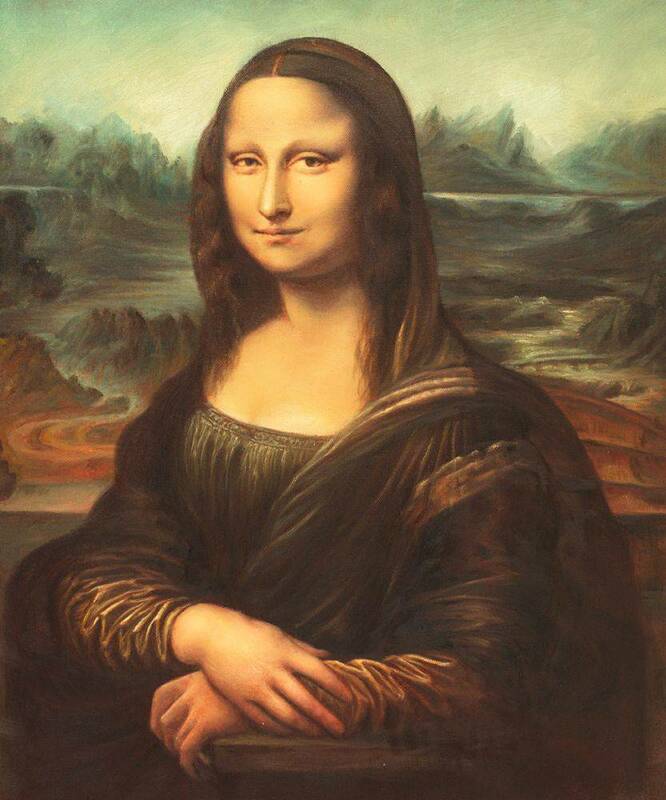 April 15th is the 566th birthday of Leonardo da Vinci. He is known worldwide for his genius and talent. Ahead of his time, many of his inventions wouldn’t become a reality until centuries after his death. 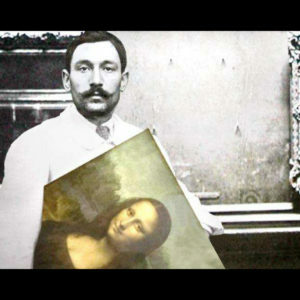 To celebrate this remarkable man we have compiled a list of facts that you might not know about da Vinci. 1. 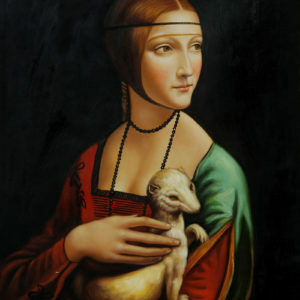 Leonardo studied under Italian master Andrea del Verrocchio. 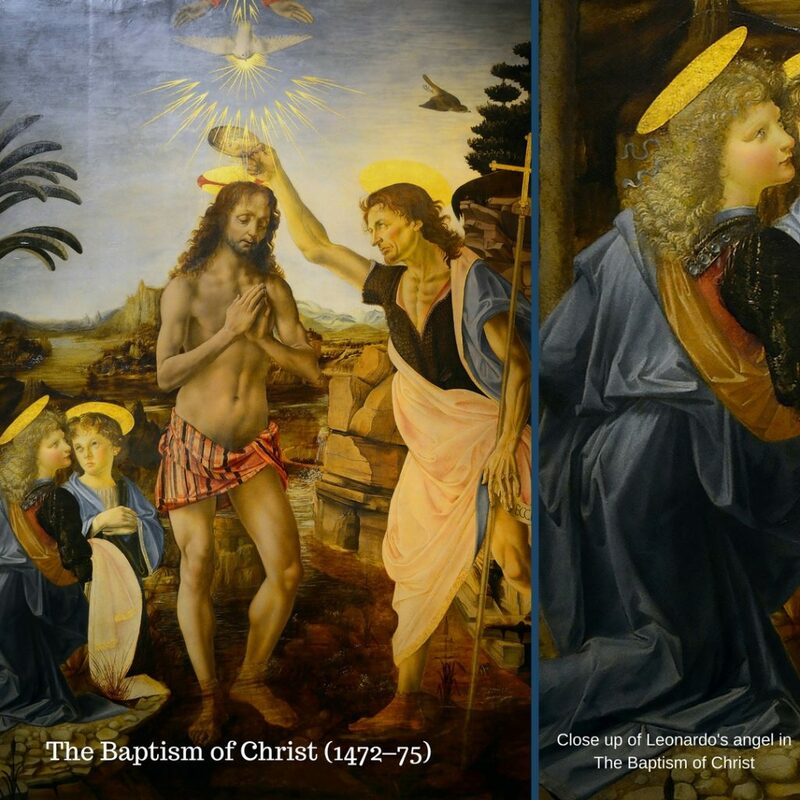 Around 1475 Da Vinci collaborated with Verrocchio on The Baptism of Christ. 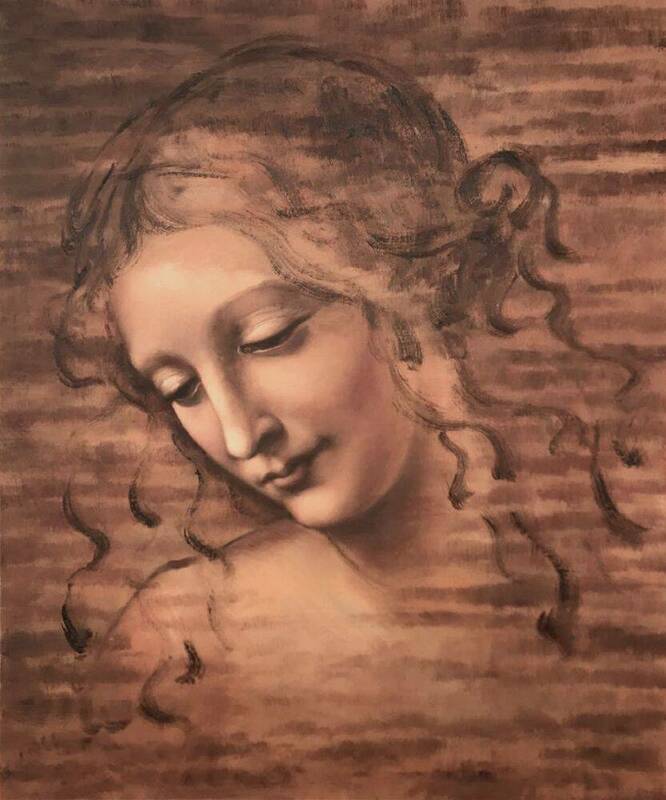 According to one of the first biographers of Renaissance artists, Giorgio Vasari, Leonardo’s angel in the painting was so exquisite that Verrocchio vowed never to “touch the brush again”. 2. Although he is known today for his artwork and inventions, Da Vinci was also an accomplished musician. In fact, according to early biographers the Anonimo Gaddiano and Vasari, when Leonardo was presented to the Milanese court around 1482 it was as a musician. 3. 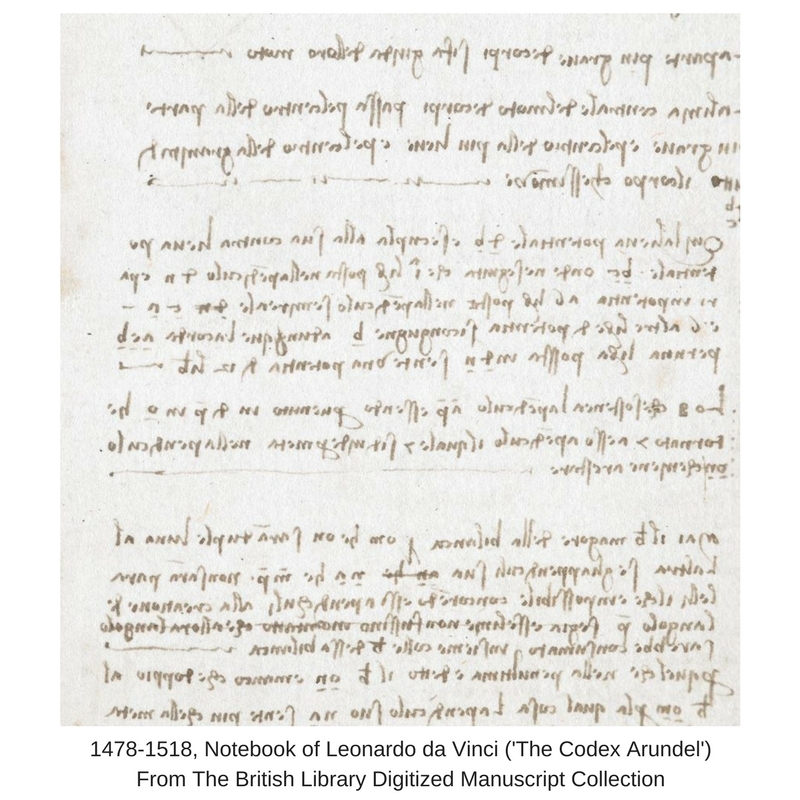 Leonardo wrote most of his work backwards, from right to left. This is also known as mirror writing, since when held up to a mirror the writing appears to read normal. There are a few theories as to why he chose this method of writing. It could have been to discourage others from reading his work. However, a more practical reason is because he was left handed and writing in this manner prevented the ink from smearing. 4. 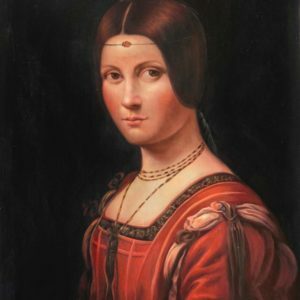 Leonardo had a sense of humor, and was extremely fond of puns. His notebooks and codices are full of puns interwoven throughout his more serious subject matter. 5. 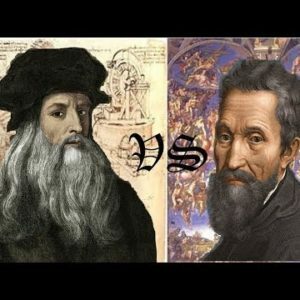 Obsessed with scientific study, da Vinci discovered centuries before the mainstream that the Earth was older than the Bible suggested in Genesis. By studying the effect of erosion by rivers and waterways, he determined that the amount of time it took for the rivers and water to shape the landscape had to be longer than the Bible stated the age of the Earth to be. 6. In another collaboration with Verrocchio, The Annunciation (1472–1475). 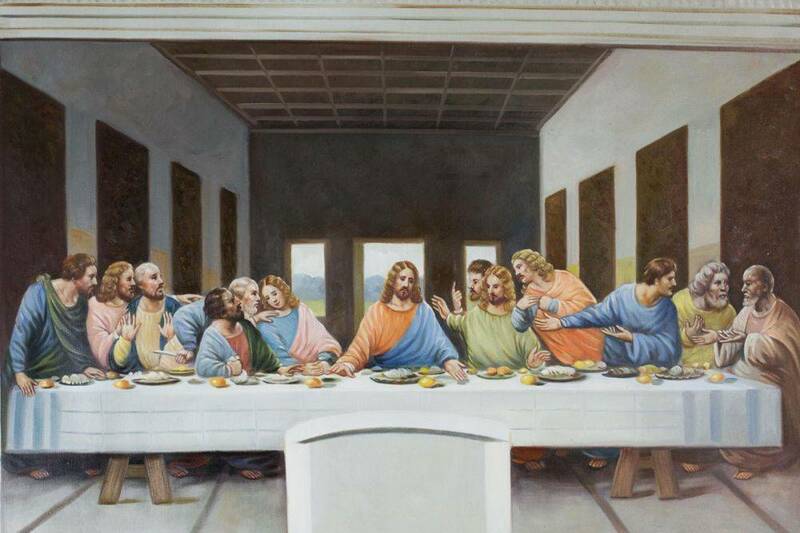 Da Vinci painted the background and the angel on the left. 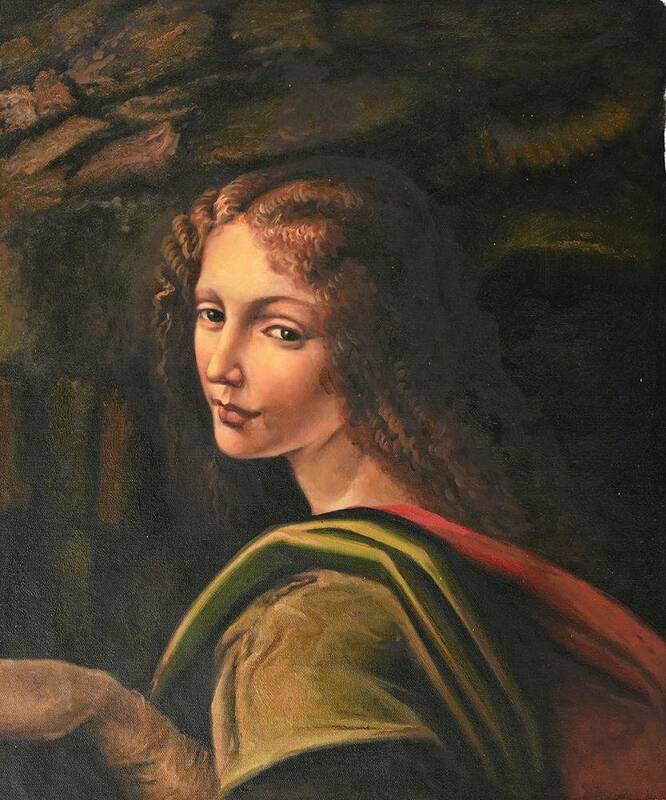 While Verrocchio used lead-based paint and heavy brush strokes on his contribution to the piece, da Vinci did not. 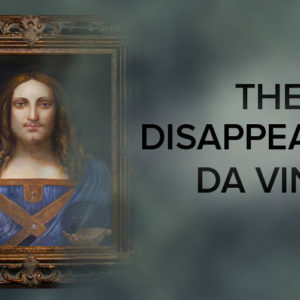 When examined under x-ray da Vinci’s angel becomes invisible. 7. 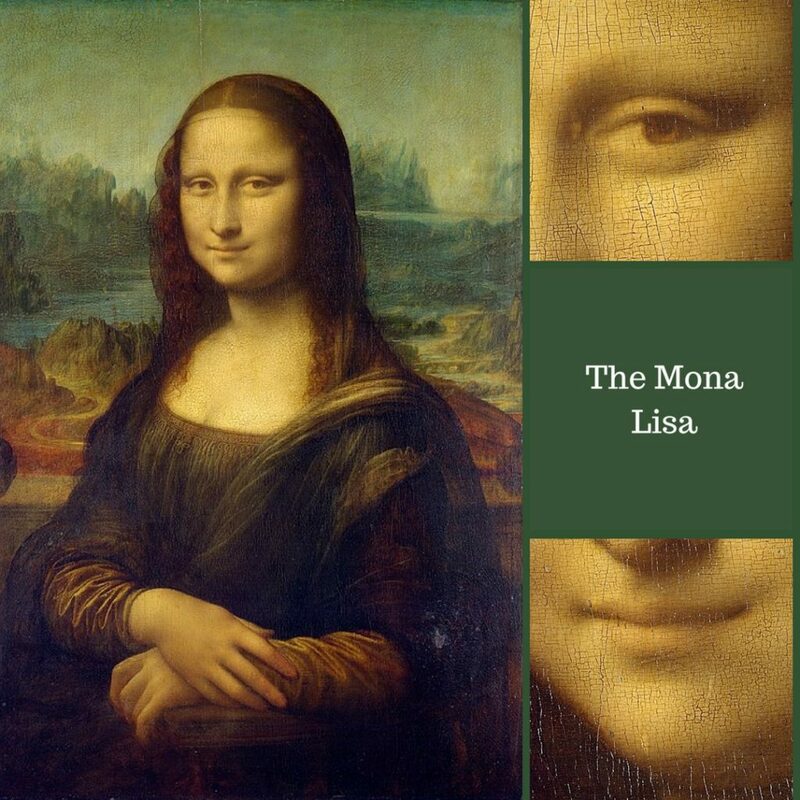 The shadowing technique that Leonardo used around the mouth and eyes when painting the Mona Lisa came to be called “sfumato” and is also known as Leonardo’s Smoke. 8. 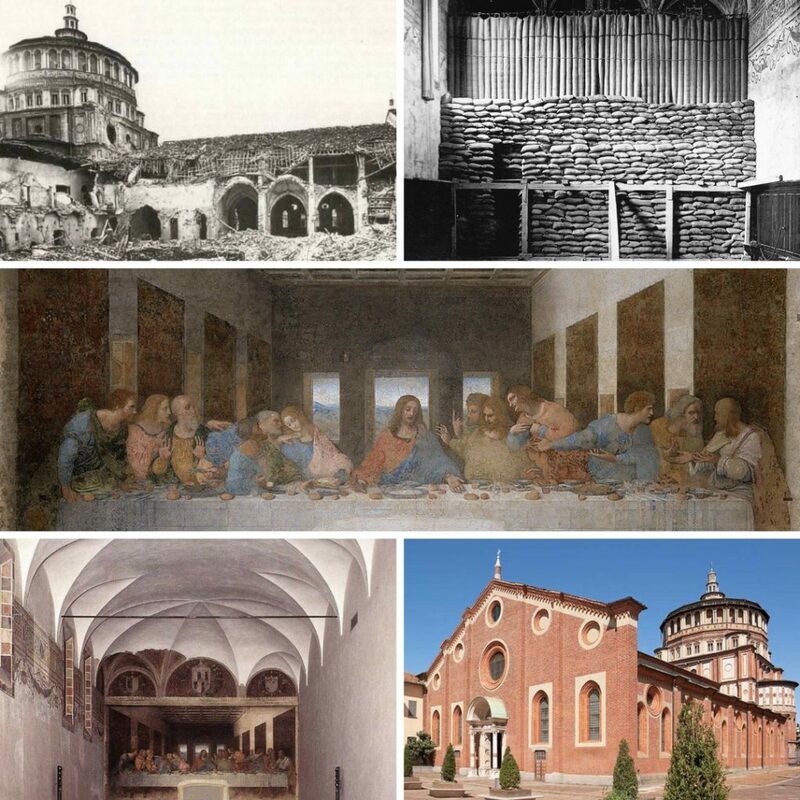 The Last Supper is still on display at the Convent of the Santa Maria delle Grazie in Milan despite King Louis’ desire to cut it down and take it to France in 1499, or French soldiers hurling rocks at it in 1796, or even when the church was destroyed by bombing in 1943. 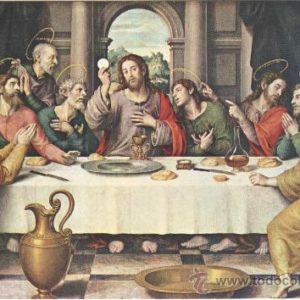 The wall that it hangs on was reinforced by the caretakers and The Last Supper survived. 9. Although he lived most of his life in Italy, da Vinci died in 1519 at Cloux (now known as Clos-Luce) in France and is buried there. 10. He requested that his casket be followed by 60 beggars in his will. 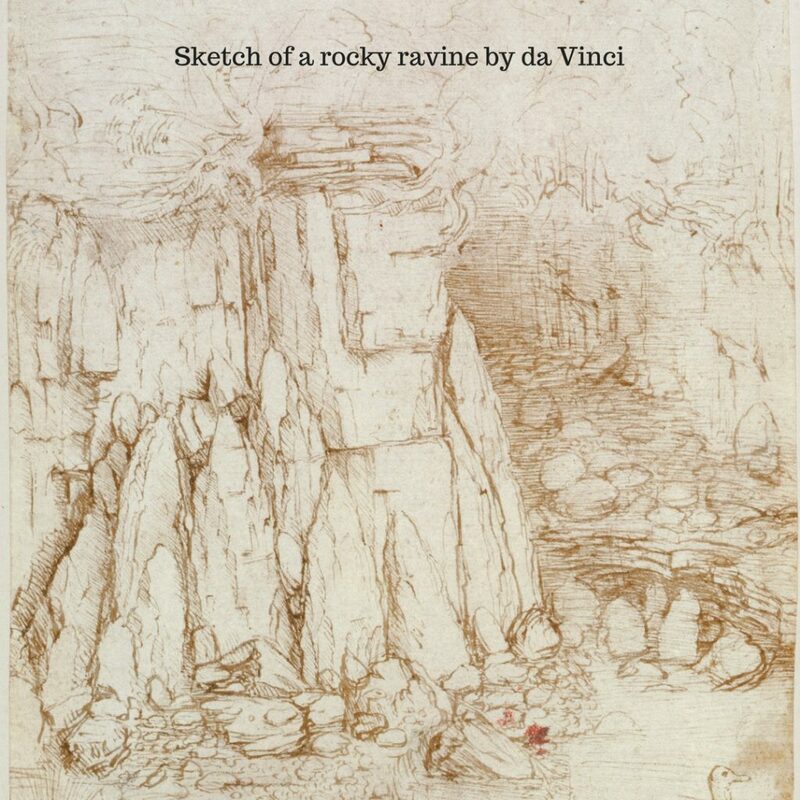 Check out our Leonardo da Vinci gallery here. Kara graduated from Emporia State University with a BA in History. 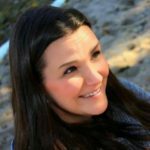 She enjoys researching a variety of historical topics, from American History to the Renaissance. In her spare time she relaxes by spending as much time as she can in the outdoors with her family.